ALBUQUERQUE – The Mexican wolf Interagency Field Team (IFT) completed the annual year­-end population survey, documenting a minimum of 113 Mexican wolves in the wild in Arizona and New Mexico at the end of 2016. This compares with a minimum of 97 wild wolves in 2015. “We are encouraged by these numbers, but these 2016 results demonstrate we are still not out of the woods with this experimental population and its anticipated contribution to Mexican wolf recovery,” said U.S. Fish and Wildlife Service Southwest Regional Director Benjamin Tuggle. “Our goal is to achieve an average annual growth rate of 10 percent in the Mexican wolf population. 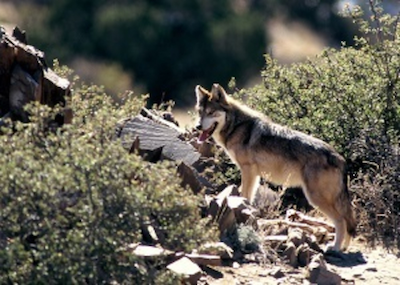 Although there was a one-year population decline in 2015, due in part to a high level of mortality and a lower pup survival rate, there are now more Mexican wolves in the wild in New Mexico and Arizona. The Service and our partners remain focused and committed to making this experimental population genetically healthy and robust so that it can contribute to recovery of the Mexican wolf in the future. We all understand the challenges we face as we try to increase the wild population of this endangered species." On February 7, 2017, more than 100 stakeholders gathered in Austin, Texas, to hear from top State and Federal officials about research focused on four Central Texas freshwater mussel species considered for listing under the Endangered Species Act (ESA): the false spike, Texas fatmucket, Texas fawnsfoot, and the Texas pimpleback. Glenn Hegar, the Texas Comptroller of Public Accounts, recently awarded $2.3 million dollars to advance the scientific understanding of these mussel species given that conservation actions have the potential to affect the Texas economy. 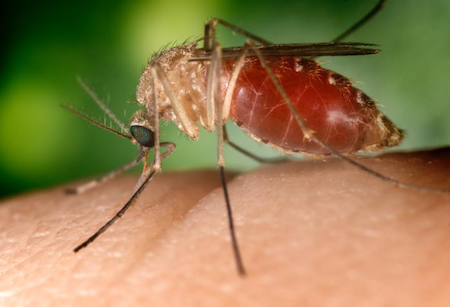 These four species are unique to the Brazos, Colorado and Guadalupe River basins and lie in the U.S. Fish and Wildlife Service’s - Southwest Region’s East Texas-East Oklahoma Emphasis Area. Dr. Benjamin Tuggle, Regional Director for the Southwest Region, spoke at the gathering. He applauded the State’s mussel research program and a stakeholder process to be led by the Comptroller’s office that affords the opportunity to voluntarily conserve mussels and their habitats. Dr. Tuggle highlighted two examples of prior success: In West Texas, stakeholders implemented a conservation plan for the dunes sagebrush lizard that kept it off the endangered species list. Secondly, the City of Georgetown, Texas, passed an ordinance to protect water quality for the Georgetown salamander that ultimately led to its listing as a threatened species rather than endangered. WASHINGTON, D.C. – Today, Reps. Bill Johnson (R-OH), Evan Jenkins (R-WV) and David McKinley (R-WV) introduced H. J. Res. 38. This is a joint resolution of disapproval under the Congressional Review Act related to the Office of Surface Mining Reclamation and Enforcement’s (OSM) final Stream Protection Rule (SPR). During the rulemaking process, OSM shut out cooperative agencies – the states responsible for enforcing federal mining regulations – and ignored the existing regulatory success as the state and federal level. Monthly Update - December 1-31, 2016 - The following is a summary of Mexican Wolf Reintroduction Project (Project) activities in the Mexican Wolf Experimental Population Area (MWEPA) in Arizona, including the Fort Apache Indian Reservation (FAIR), San Carlos Apache Reservation (SCAR), and New Mexico. Additional Project information can be obtained by calling (928) 339-4329 or toll free at (888) 459-9653, or by visiting the Arizona Game and Fish Department website at www.azgfd.gov/wolf or by visiting the U.S. 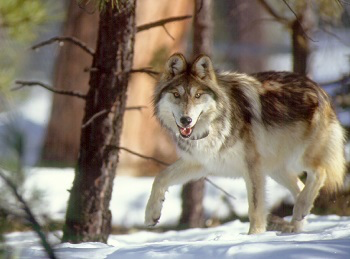 Fish and Wildlife Service website at http://www.fws.gov/southwest/es/ mexicanwolf.